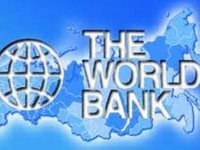 The World Bank retains its forecast for Ukraine's GDP growth at 2%, World Bank Country Director for Belarus, Moldova and Ukraine Satu Kahkonen said at a press conference on Tuesday. She said that 2% of the economic growth is not enough for the country. The World Bank sees the risk that Ukraine could get trapped into the low pace of growth, she said. The World Bank also left unchanged the forecast for GDP growth in 2018 and 2019 at 3.5% and 4% respectively. Lead Economist and Program Leader covering Belarus, Moldova and Ukraine Faruk Khan said at the press conference that the forecast takes into account the implementation of reforms by authorities, and if no reforms are conducted, the economy would grow within 2% and even less.